Sofía Vergara, queen of L.A. glam, is constantly surprising us with her inventive and stylish street style ensembles. 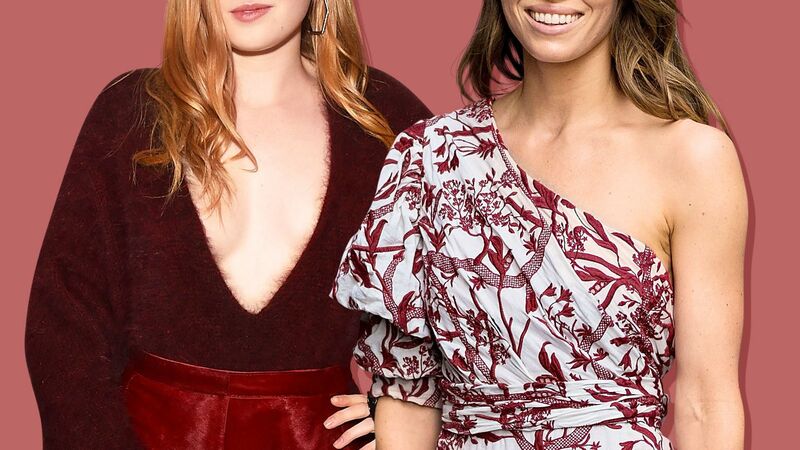 The actress makes sure to bring some of her South American flair to every look, infusing even the most basic outfit with a pop of color or an unexpected accessory. From platform stilettos to patterns galore, the Modern Family star is always true to her personal style. 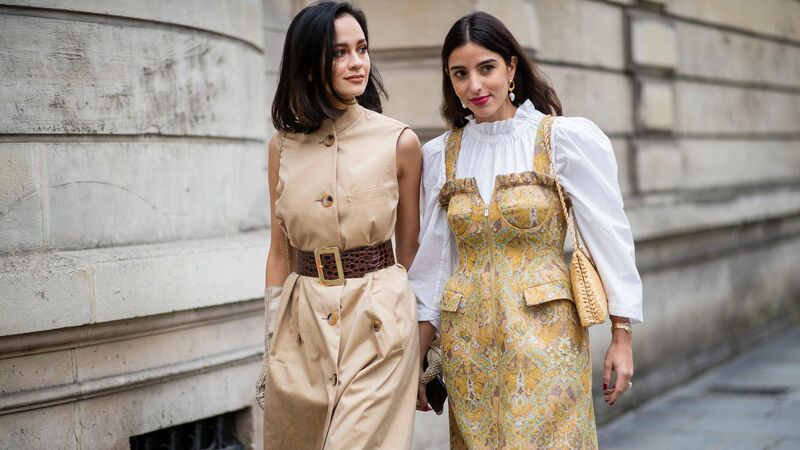 Scroll down to see our favorites amongst Vergara’s treasure trove of A-plus street style looks. The Modern Family star stepped out in Beverly Hills, Calif. in a white one-shoulder crop top paired with a floral maxiskirt. She accessorized with major platform sandals and a tan leather bucket bag (shop a similar style here). The Modern Family actress proved the power of the maxi skirt in a floor-grazing patterned sheath (shop a similar look here), platform sandals, and a simple black tank. Vergara expertly paired a turquoise lace tank with ripped skinny jeans, navy platform sandals (shop a similar look here), and a complementary orange Hermès Birkin bag. Simple yet sophisticated, Vergara stepped out in L.A. wearing a black tank dress (shop a similar look here) and platform gladiator sandals, a gray Chloé cross-body purse (shop a similar style here) draped across her figure. The actress got in the holiday spirit, sucking on a candy cane while she went for a stroll in a drape-front gray duster (shop a similar look here), ripped skinny jeans, suede ankle boots, and a quilted light brown Chanel purse. Vergara arrived in Times Square wearing a chic lace turquoise dress, tan platform Saint Laurent Tribute sandals ($597; farfetch.com), and a matching Chloé saddle bag ($2,090; nordstrom.com). The Colombian star stepped out in a pair of ripped and cuffed jeans, black platform sandals with gold accents (shop a similar style here), a long-sleeved black tee, and a quilted purse. Vergara coordinated in shades of black and blue on an L.A. outing, hitting the town in a shoulder-baring top, cuffed jeans, black platform sandals, a patterned scarf, and a small navy Fendi handbag (shop it in black here). The actress arrived in Soho wearing a curve-hugging red dress (shop a similar look here) and peep-toe Charlotte Oympia pumps (shop them in red here). Vergara struck a confident pose in N.Y.C., strutting her stuff in a sleeveless color block dress (shop a similar style here) and red peep-toe pumps (shop a similar look here).